A new tool is now available that helps determine proper cattle supplementation during winter. University of Florida (UF) beef specialist Nicolas DiLorenzo recently introduced the UF Hay Balancer at the Northwest Beef Conference in Marianna, Fla. The spreadsheet-based tool calculates a producer’s most cost-effective strategy for winter feed supplementation. “The UF Hay Balancer is a decision-aid tool created by the University of Florida’s Panhandle Ag Extension Team with the objective of developing cost-effective winter feeding programs,” DiLorenzo comments in a recent edition of the Panhandle Ag e-News. Winter beef cattle supplementation in the southeastern U.S. often utilizes hay as the base feed. The downside to this is that our region typically produces warm-season perennials, a forage not exactly known for its nutritive value, DiLorenzo explains. 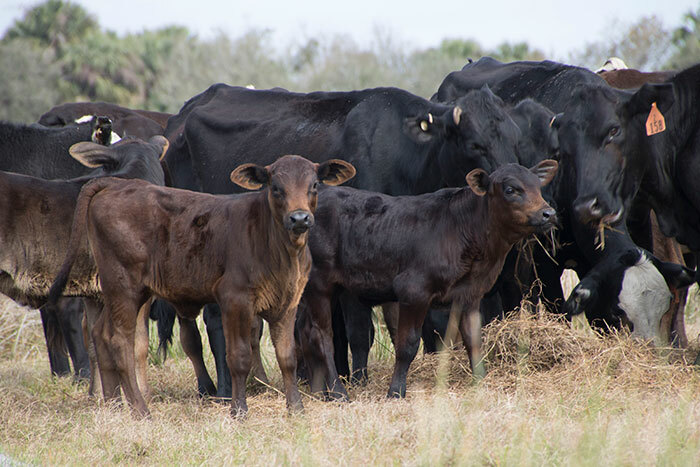 “Typically, when you compare the nutrient requirements of beef cows to those provided by the hay, there is a need for additional supplementation of energy (total digestible nutrients), protein, or both,” DiLorenzo says. The team created the UF Hay Balancer to assist producers, researchers, and farm advisers formulate winter rations. After getting a forage analysis done on their hay, producers can use the UF Hay Balancer to compare by-product feeds and find the most cost-effective blend for their herd, DiLorenzo says. “Not only does this help you figure out what to feed, but also how much total hay and supplement will be required for the described feeding period,” DiLorenzo says. For more information on how to use and download the Excel-based spreadsheet, follow this link.